This might not be the Brazil that you expect but this is a Brazil that can win the World Cup. Victory over Serbia is not the evidence of that, it is merely that latest exhibit in an ever more compelling case. The goals on the night were scored by those that do the grunt work, Paulinho and Thiago Silva, but both were made by the magical pair of Neymar and Philippe Coutinho, who look capable of just about anything. 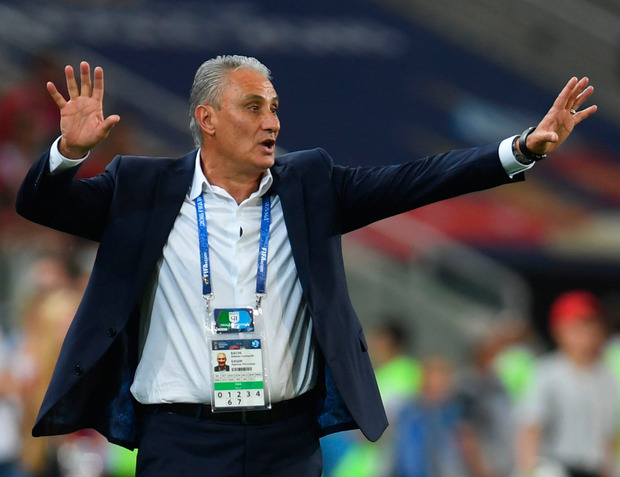 In a tournament where all 32 teams have shown their flaws as well as their virtues, Tite's Brazil have improved in each game and look like a team whose strengths far outnumber their problems. Unlike some other contenders the coach himself is one of those strengths, having created a team that was never going to annihilate minnows but that would be ready to stand toe-to-toe with their European challengers for the biggest prize. The time for that is nearly here. The first of the European elite they can come across is England or Belgium in the quarter-finals, with Mexico awaiting them first, and it is those sides who will fear Brazil rather than the other way around. The bottom half of the World Cup draw got easier with Germany's elimination, their demise prompting celebrations from Brazilians both at the Spartak Stadium and back home with those wounds from the 7-1 mostly healed but the scars still very much visible. The concern was, of course, that such schadenfreude could turn to hubris with Serbia needing a win and the Selecão not yet having secured a second-round berth. A draw was needed for nerves, and to top the group, a win preferred. This Brazil team is not pure magic but there enough wizards in there to give you the dazzle and spark you expect from those bright yellow shirts. 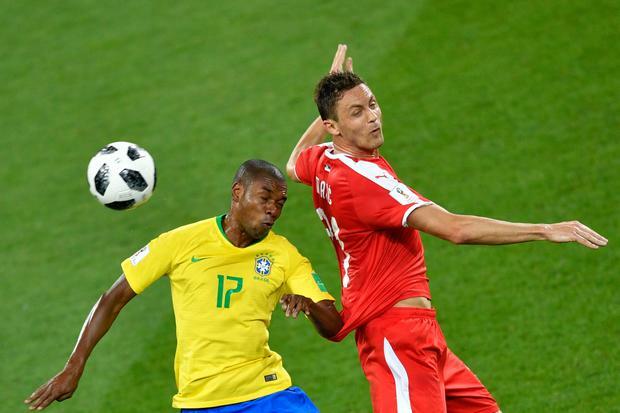 Between the magic triangle of Coutinho, Neymar and Gabriel Jesus it felt that wherever the ball, whatever the moment, Serbia were never more than five seconds away from being carved in two despite themselves enjoying encouraging periods of dominance - mainly physically but also in terms of possession. Control might be overrated, though. Especially so when you have players that thrive in the to-and-fro of the transitions. Neymar and Coutinho were at the centre of everything good Brazil did and they positively oozed creativity and ideas, fashioning chances almost at will by the end but it was the one created by Coutinho for Paulinho's goal which will live in the memory. There was a great decoy run by Jesus and a surge from Paulinho but Coutinho's pass itself was so brilliant that from the moment he struck it, weighted sublimely to meet with Paulinho's ranging strides, the Barca man had time to look at goalkeeper Vladimir Stojkovic and judge his position before choosing to knock it over him for 1-0. Serbia pressed hard as their World Cup hopes dangled but couldn't find enough cutting edge for an equaliser. But with those attacks came space and in Neymar they had the perfect man to exploit them. The Paris Saint-Germain star had to make do with a corner from one such hair-raising counter but from the resultant set-piece, his cross found Thiago Silva at the near post who headed in, and Brazil headed through.